And finally, its time to actually create the pen. 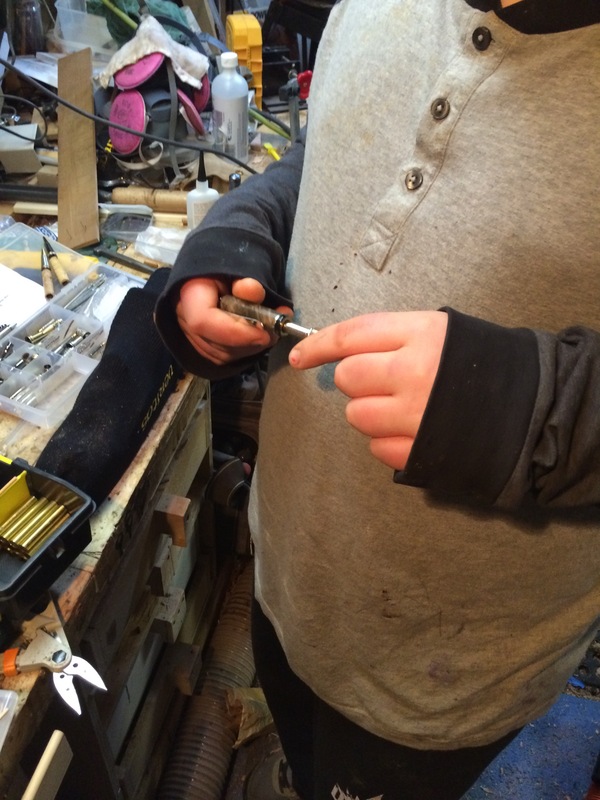 If you’ve been reading along, you’ve seen how I’ve gone from a block of wood to smaller pieces of wood, to holes drilled by my son, gluing with my daughter, and finally actually to the lathe to do the spinning and turning to create the pens. One can reasonably wonder whether this is the easiest stage at this point. 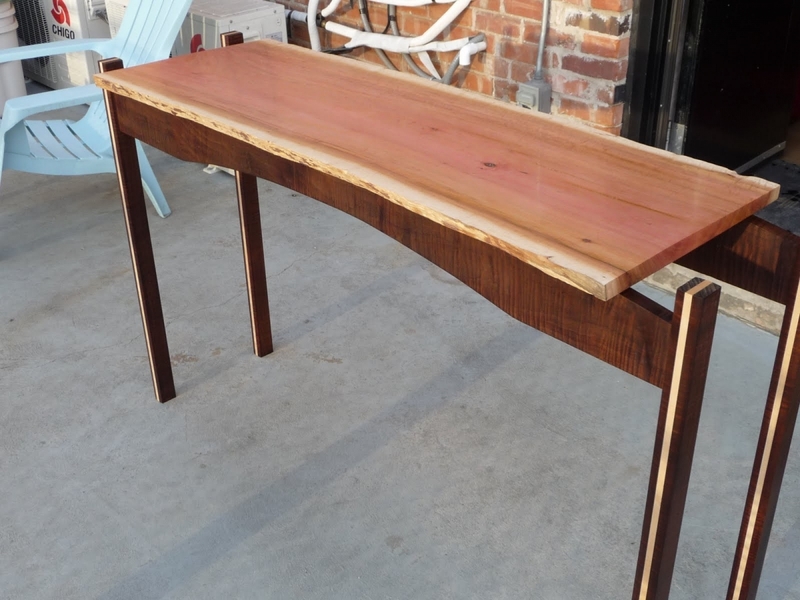 With all the labour and thinking and planning up to this point, it is amazing how a half second’s inattention can take a potential pen of high beauty, something that might sell for up to $200, and instantly convert it to firewood. The trick is, again organization. 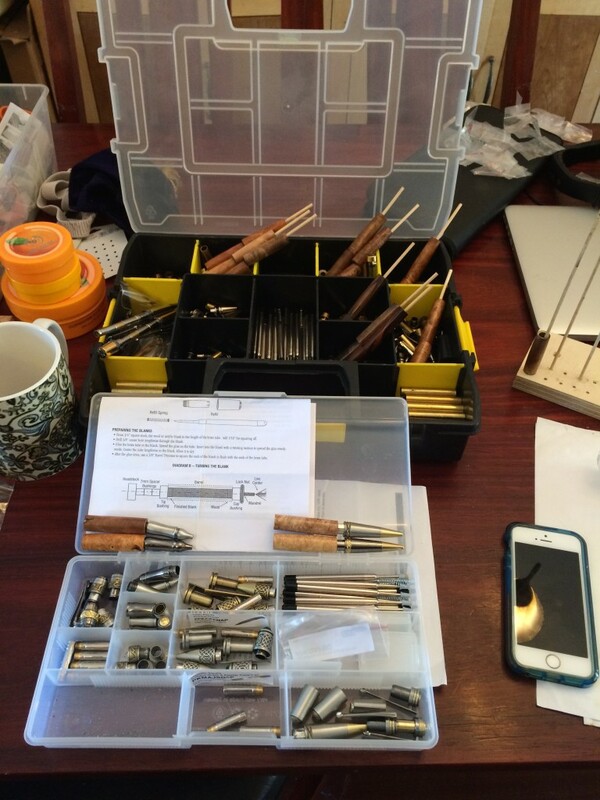 It starts with carefully considering which piece of wood should go with pen mechanism. The different metals have differing warmths, and some are too bright. The other consideration is if the wood is a little more plain, perhaps add a piece of very bright metal to the project. 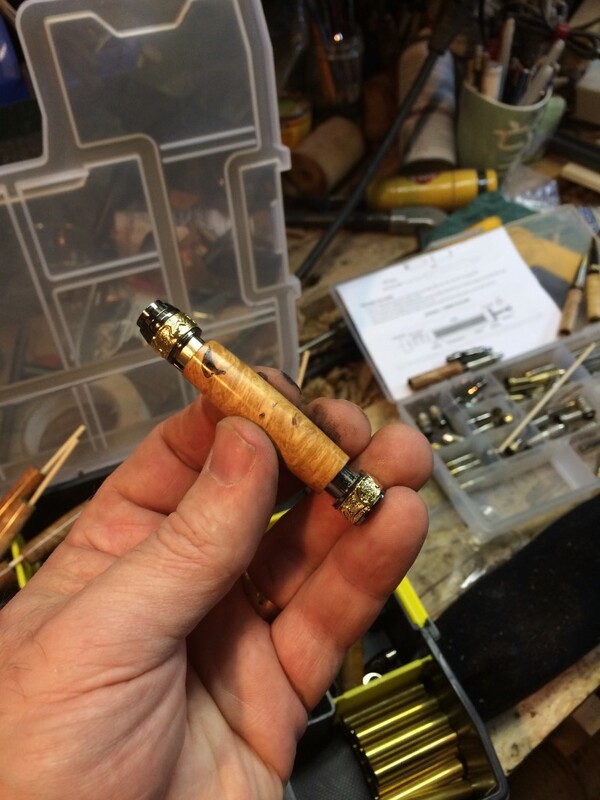 Of course, if the wood is brilliantly figured, a muted or understated pen mechanism might be best for showing off the wood. Once the planning is done (and the debating with my daughters and wife is complete, there is always 50% of the pens where my opinion isn’t necessarily the final word. Ahem ) the assembly can start. The pen fittings are incredibly well machined so that everything becomes a friction fit. No glue required. My oldest pen is 20 years old, and has never required a lick of maintenance other than an occasional polishing. In this case, we’re going for bling on bling. The piece of maple has some beautiful figure in it, so lets make it really amazing by combining it with high quality gold and black titanium. 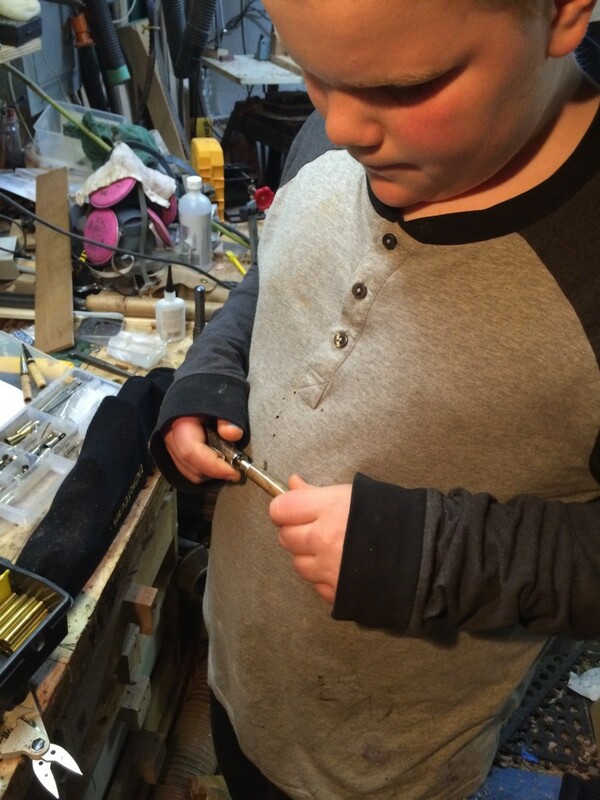 As I’ve mentioned, there are limits to what my son can safely do in the workshop, but he does love assembling pens. 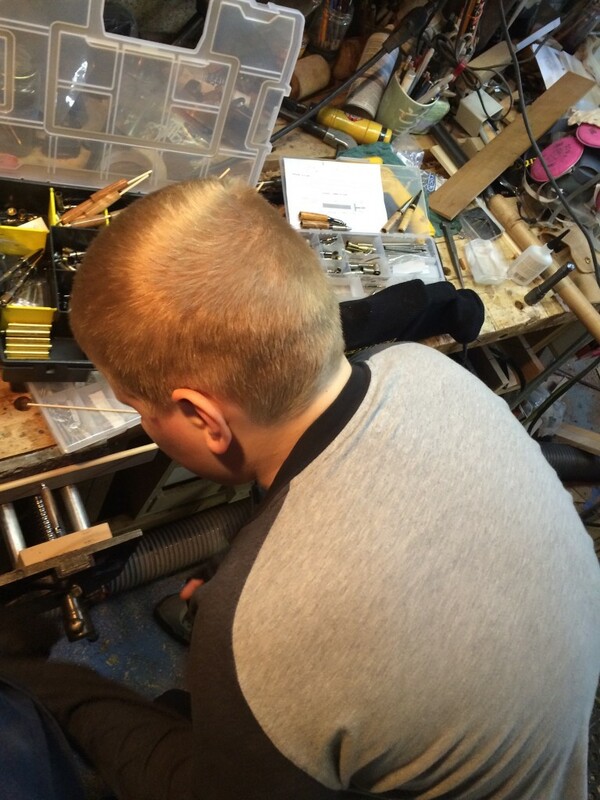 The trick is to -very gently- compress the wood and metal fittings together. Unfortunately, this is where that fraction of a second comes into play. The matter of the smallest pressure in the vice during assembly can make the difference between a shattered pen and a gorgeous product. The next pen after this one, my son got excited and over tightened, the wood fractured, and we went from a beautiful pen to firewood in an instant. Painful, but given the choice of excluding my son from this activity, its worth a modest gamble to keep in in the work. 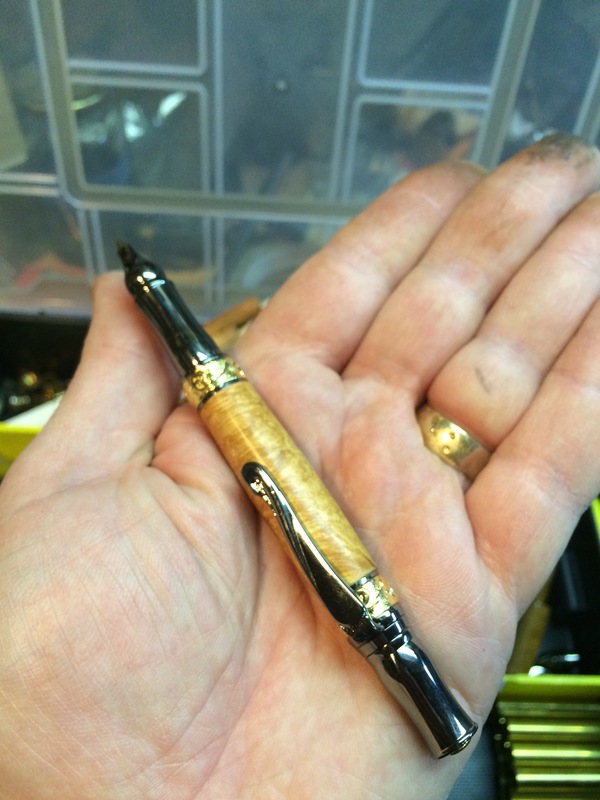 And with apologies for the “blurry cam” (and the dirty fingers) we have a beautiful pen.